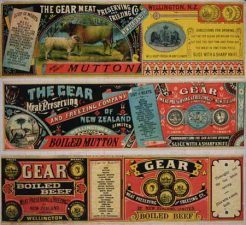 Today we celebrate February 15th and the fact that back in 1890 this was the first day that frozen meat was shipped from New Zealand to Britain. Lamb continues to be a good source of protein, B group vitamins and essential minerals iron and zinc plus small amounts of vitamin D, Selenium and Omega 3 fatty acids. More nutrition information and recipe ideas can help meat lovers enjoy and celebrate this special day in New Zealand’s history all year round.